Popular television reality show “BIGG BOSS” is back with the seventh season where Salman Khan who returns as the host for the fourth time on the show is playing a double role of an angel and devil to the contestants holed up in Bigg Boss houses for three months. Actor Armaan Kohli son of prominent director and producer Rajkumar Kohli enters in house and was sent into hell to experience ‘jehanum ka oww’ with his mates where they had to spend their days with low comfort while other will be treated with ‘Jannat ka wow’ with highly furnished stay. Based on the theme of ‘hell’ and ‘heaven’, the house has been divided into two parts and it’s separated by a wired mesh. 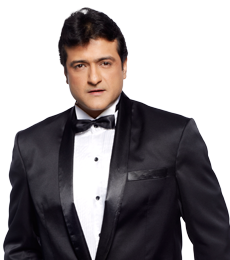 Armaan Kohli has done many films like Raj Tilak, Virodhi, Dushman Zamana, Kohra, Aulad Ke Dushman, Jaani Dushman: Ek Anokhi Kahani and LOC: Kargil and always appeared as an action hero. Armaan became the mainstream stars to patronise the stunt genre and blasted the screen with his high voltage actioners. The actor is ready to bear the temperature of hell, he said, “I am here to entertain the people through Bigg Boss show as it is the ideal way to reach out to the audience”.